Google has given several service promises to Android. In the Android Security report of 2015 Google announced that Android Security has been taken very seriously and now more than 400 million devices and 6 billion installed apps will be scanned each day. According to Last Year Stats- Google claimed that there is a huge jump from 2014 to 2015 in having the number of Potential Harmful Apps reduced. Google stated that the number of devices installing apps only from Google Play and getting in contact with PHA was 0.15%, while only 0.5% devices that were installing from Google Play and other sources had installed harmful app. With the launch of Android 6.0 Marshmallow came better security protection-including verified boot, updated permission controls, and full disk encryption. Google also admitted last year that despite company’s efforts, all Android devices were still not receiving monthly updates but promised on increasing its efforts. For mobile app development guidelines and assistance, contact VeztekUSA. According to This Year’s Stats- Google claims on investing in services and tools for helping developers design secure Android applications. Open source testing tools, Security APIs in Google Play Services, and application sandbox and security APIs in platform. 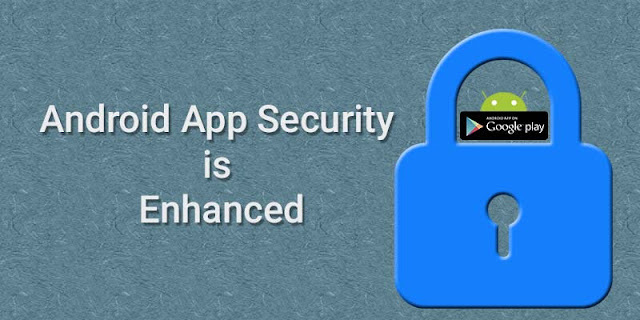 What is Google Play App Security Improvement Program? – The Google Play App Security Improvement Program is claimed to be the first of its kind, having two main components: help developers identify potential security enhancement and provide developers with security tips for helping them build securer apps. How Does Google Play App Security Program works? – Every app that goes for acceptance from Google Play gets scanned for potential security issues, and for security and safety. Over 1 million apps are rescanned on Google Play for additional threats. If the app gets flagged by Google Play for security concerns, you promptly get notified for the issue so you can address the issue and help your users stay safe. Once the security issue has been highlighted, you will receive emails alerts via Google Play Developer Console. You will also receive emails with links on how to improve the app security. Before any other app update gets published, and as per the given timeline the issue will require an action. You confirm addressing of the issue by uploading the latest and secure version of your app on Google Play Developer Console. Always increment the fixed apps version number. If you do not receive any more security alerts after few hours, it means you’re good to go. The developers of apps on Google Play and Google have to work hand in hand in order to ensure the success of the program, and of course the security community has to work along as well. Google believes that it’s a joint responsibility of the two to provide users with safe and secure apps. Sani is a business professional with proven success in project and program management, business process improvement and conversion.